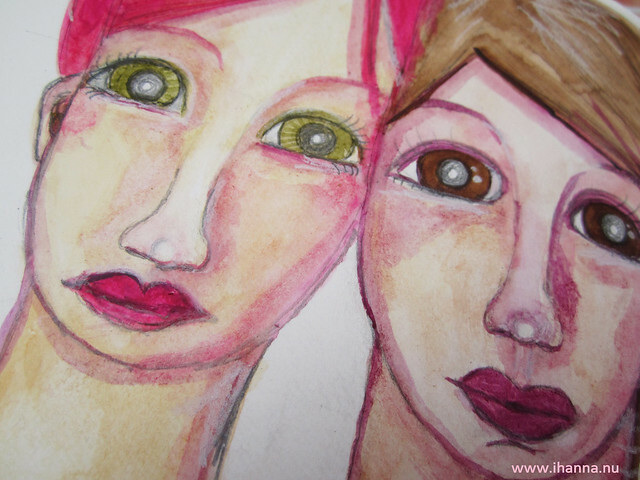 Hi, thanks for stopping by and being part of my creative journey! 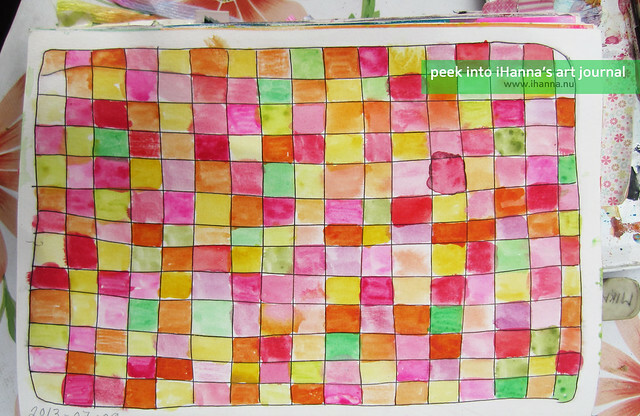 This page is a more or less even, continues grid pattern that I enjoyed filling with watercolours. A painted patchwork maybe? I love grids, any kind of grid. I made it while away on my Journaling Vacation. 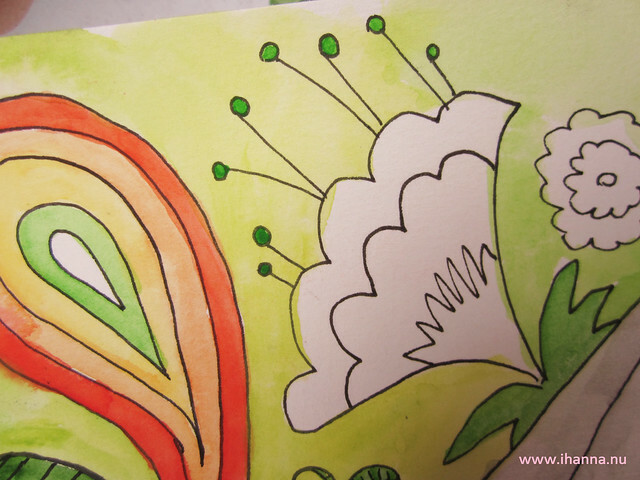 I started to paint the background behind the flowery doodles green. But now I like the contrast, and will keep the flowers white. Sometimes simplicity makes me happy. It’s been a summer of Art Journaling, just like I wished for. Have you been creating patterns of some sort this summer too? My journal is full of them right now. The grid above is also part of Tammy’s Daily paper Prompts (#38). Let me know if you make one! At what time of the year do you do create the most? 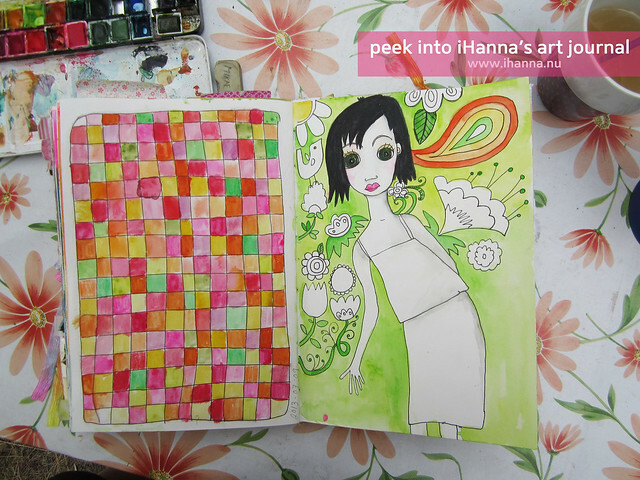 This entry was posted in Art journaling, Draw & doodle and tagged art journal peek, doodle, grid, outdoor creating, patchwork, pattern love, watercolours. Bookmark the permalink. Love all those cheery colors! Your post was a beautiful stay for my morning! Thanks Tammy for the comment, this post, and me, needed it! I wish you a great day! 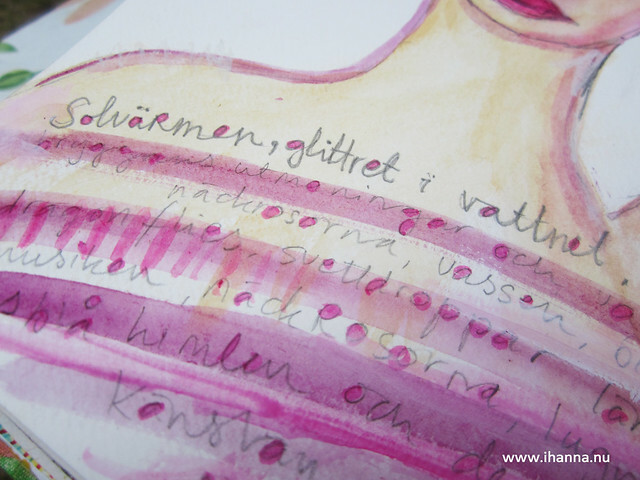 When I visit your blog, I am always greeted with happy colors and cheerful Hanna artwork.